Daisy is able to capture the offhand charm of the Marc by Marc Jacobs line and simultaneously reflect the sophistication and elegance of the Marc jacobs collection. Daisy is fresh and feminine, with a playful innocence. It is sophisticated but not too serious. Bright and alluring with a sense of ease. Daisy opens with the luscious natural freshness of wild strawberry, violet leaves and ruby red grapefruit. The heart of gardenia, violet petals and Jasmine petals is velvety and luminous a modern vintage. Musk, vanilla infusion and white woods. Round out the balance of notes with smooth softness and warm sensuality. Explore the entire range of Perfumes (EDT & EDP) available on Nykaa. 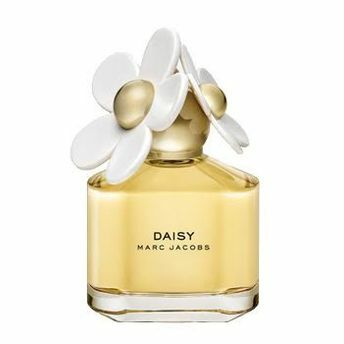 Shop more Marc Jacobs products here.You can browse through the complete world of Marc Jacobs Perfumes (EDT & EDP) .Alternatively, you can also find many more products from the Marc Jacobs Daisy Eau De Toilette Spray range.